Omron, a leading Japanese electronics company, has reportedly announced the launch of the first smartwatch to measure blood pressure from the wrist. 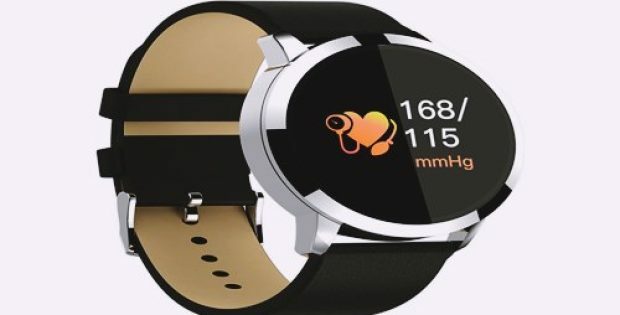 As per sources, the HeartGuide wristwatch, a wearable oscillometric device, unveiled at the CES 2018, has been approved by the FDA and will be available in retail stores from January 9, 2019 onwards. Credible reports claim that the component has a flexible synthetic band which inflates and maintains its shape when taking a blood pressure reading and remains comfortable on the wrist. A statement by Omron elucidates that more than 80 patents, pertaining to band and other components required while designing the new watch, had been filed directly. Apparently, the watch also monitors sleep quality and heart rate throughout the night, however, it cannot be programmed to track BP readings while sleeping. The HeartGuide’s data can be synced with an accompanying app where users can store their blood pressure readings, heart rate history, and the sleep quality. Omron claims that its present R&D programs would be able to build small blood pressure system, since some of the valves and pumps with the HeartGuide are no bigger than a rice grain. The wristband is apparently five times stronger than steel – a parameter that enables the wristwatch to safely inflate to high pressure without breaking. Ranndy Kellogg, CEO and President, Omron, was reportedly quoted stating that they received numerous messages from consumers, ever since Omron announced about this device. Expounding on the component’s incredible properties, Kellogg stated that the HeartGuide is a breakthrough in its category, especially for people who want to keep a close track on their blood pressure anywhere, anytime. For the record, Omron has a few heart monitoring devices in the pipeline, which includes ECG combo device and blood pressure monitor device, for home use.